Our mission is to help you achieve the goals that you want regarding your treatment at our clinic. For most people that means eliminating their pain and improving their health and body function so that they can get back to doing the things in their life that bring them fulfillment and enjoyment. At Health By Design Wellness Center we provide patient centered care and great customer service. What does that mean? That means we focus on helping you to meet your healthcare goals in a way that works best for you. We do not use a cookie cutter approach and treat all patients the same. Our recommendations are customized and are unique for your individual situation and circumstances. The care we provide is personal. We do not rush people in and out of our office. We take whatever time is needed to help you accomplish your goals. We place a strong emphasis on teaching you skills and strategies to help you continue your healing while away from our office. This dramatically shortens the treatment plan needed to reach a certain goal. This saves you time, money, and helps you to regain your health faster and more completely. The knowledge, skills, and strategies that Dr. Basile will teach you are extremely valuable and will serve you for your entire life. Therefore your visits not only have temporary benefits, but long term benefits also. 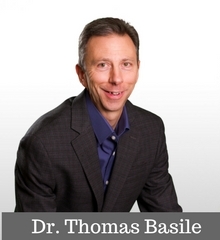 Dr. Basile practices active listening and is always trying to really hear what you are saying and what your words mean. This helps him to successfully give you the service and treatment that you both want and need. Dr. Basile combines the benefits of traditional chiropractic care with cutting edge rehabilitation therapies and common sense overall health strategies. He has advanced training in rehabilitation therapy. The care we provide is affordable and cost effective and you get a lot of value for your money. It is both less expensive and safer than traditional medical care and will help you to get to the root cause of your health problems naturally without dangerous drugs and surgeries. Our support team are both friendly and helpful. 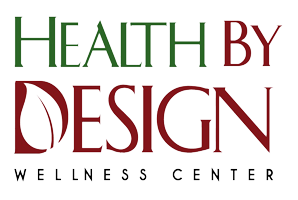 Why is the name of our clinic "Health by Design Wellness Center?" Damaged areas of the spine, what are known as SPINAL SUBLUXATIONS, interfere with the master control system of the human body, the NERVOUS SYSTEM. When the nervous system is interfered with the body cannot function normally, cannot self regulate properly, and cannot heal itself properly. As a result, the body breaks down to a state of DIS-EASE (lack of ease) and is much more susceptible to DISEASE. Chiropractic spinal adjustments reduce or correct these spinal subluxations and consequently the body begins to function better and as a result is much healthier. Pain and other health problems are often improved dramatically because the human body has an amazing ability to heal, as long is there is no interference with that healing. Our mission is to improve the function of people's nervous systems, primarily by reducing or correcting spinal subluxations, and in addition teach, guide, and coach people to live healthier lifestyles and remove the other things that interfere with their body's function and health. Getting and staying healthy is really that simple! Isn't that great? And although simple, it is not necessarily easy because it does take effort. The effort, however, is well worth it because the result is a healthier and happier life. Most people want a healthier and happier life. We can help you achieve it.